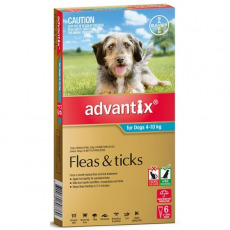 Flea, Tick and Worming	There are 14 products. 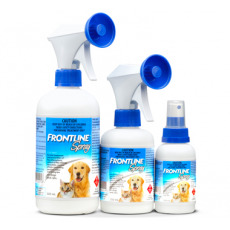 We stock the full range of Advantix products to protect your dog from fleas and ticks. 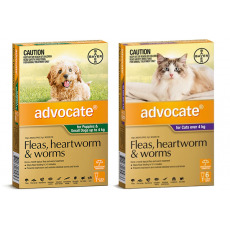 We stock the full range of Advocate products to protect your dog and cat from fleas, heartworm and intestinal worms. 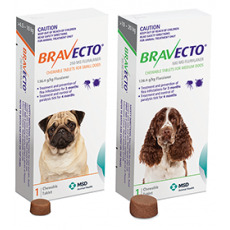 We stock the full range of Bravecto products to protect your dog from fleas and ticks. NEW! 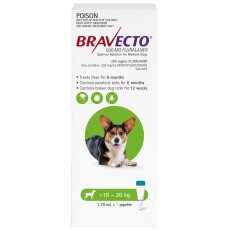 Bravecto Spot On for Dogs. 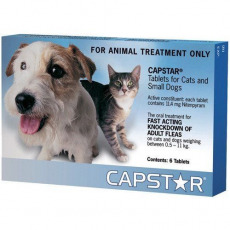 Treats fleas and ticks for up to 6 months! 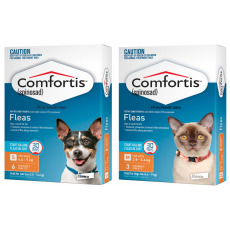 We stock the range of Comfortis for dogs and cats to help get rid of fleas quickly! 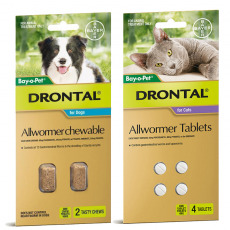 We stock the full range of Drontal products to protect your dog and cat from intestinal worms. 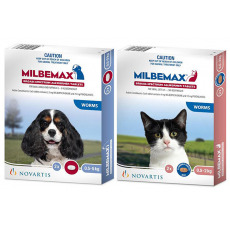 We stock the full range of Milbemax worming tablets for dogs and cats of all sizes. 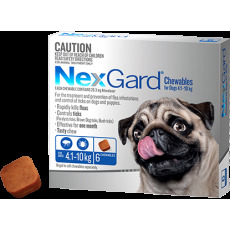 We stock the full range of Nexgard products to protect your dog from fleas and ticks. 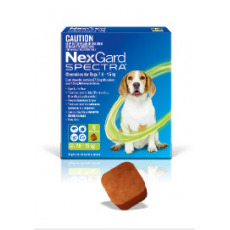 We stock the full range of Nexgard Spectra products to protect your dog from fleas, ticks and worms. 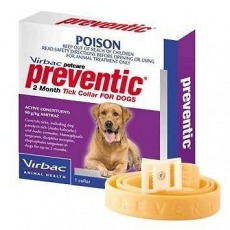 We stock the Preventic Tick Collar for dogs. 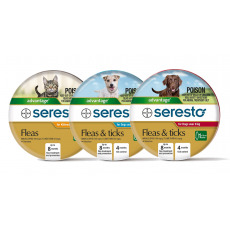 We stock the full range of Seresto products to protect your dog from fleas and ticks and your cat from fleas. 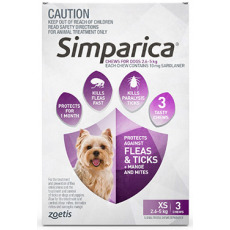 We stock the full range of Simparica products to protect your dog from fleas and ticks.